Count on a team with experience when you need asphalt repair in San Diego, CA. It can be dangerous to have a stretch of asphalt that has fallen into disrepair. Cracking, potholes, and other pitfalls can contribute to damage and accidents for vehicles and pedestrians alike. If you need repairs completed, Diamond Striping Services is here to help. 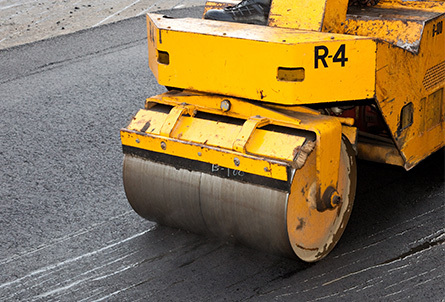 We have the staff and the industry knowledge to repair your asphalt quickly and professionally. We can even accommodate same-day emergencies and will be punctual and efficient in our service. In addition to repairs, we can assist you in making your business ADA (Americans with Disabilities Act) compliant. We have more than ten years of professional experience solving a wide range of repair problems and agreement issues for companies. We always have the most current and accurate handicap space striping stenciling, which can ensure your property is compliant with all necessary regulations. This can help you avoid costly fines and lawsuits. We can also set up a maintenance schedule so you know you will always be up to date and well-marked. We are well-equipped to provide for all of your asphalt patching and seal coating, as well as your ADA compliance needs. We are here to help, and you will receive the care and attention that you cannot find with a larger, more impersonal company. When you work with our team, you get big-name service for little-name costs. We do not sacrifice quality at the expense of price, and this translates into value for you. We arrive at every job site, on time and ready to work. Our crew has top-notch workmanship and is trained to complete all jobs in a professional, timely manner. We do the job right the first time, so you can be assured we don’t compromise whether it’s asphalt maintenance or emergencies. We provide the same customer service and quality every time. Reach out to our qualified staff today to answer any questions you may have. Contact our professional striping service for an on-site quote for any asphalt repair or maintenance job you need. We proudly serve San Diego, CA, and the surrounding area.